And so the debate raged back and forth as the enforcement and notice processing team leaders and supervisors sitting around the table wrestled with the problem of a back log of 2,000 challenges and representations that had accumulated because their parking workforce was understaffed. This was a made-up scenario but, as the course tutor Luke Harding pointed out, it was also a very realistic one and a problem that parking operations up and down the country are dealing with on a daily basis. 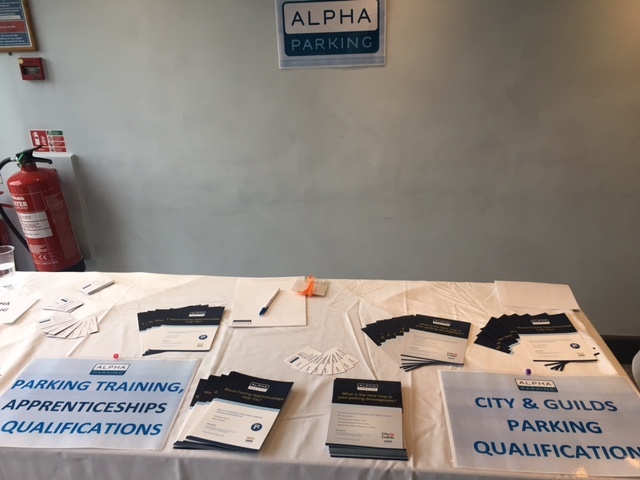 The course was the five-day Parking Team Leader and Supervisors Course, run by Alpha Parking, and the candidates on this course came from a range of local authorities; for example, Tower Hamlets Council, South Gloucestershire and the London Borough of Hounslow. Among the delegates was a permits officer, a senior appeals officer and the wonderfully named statutory functions team leader. 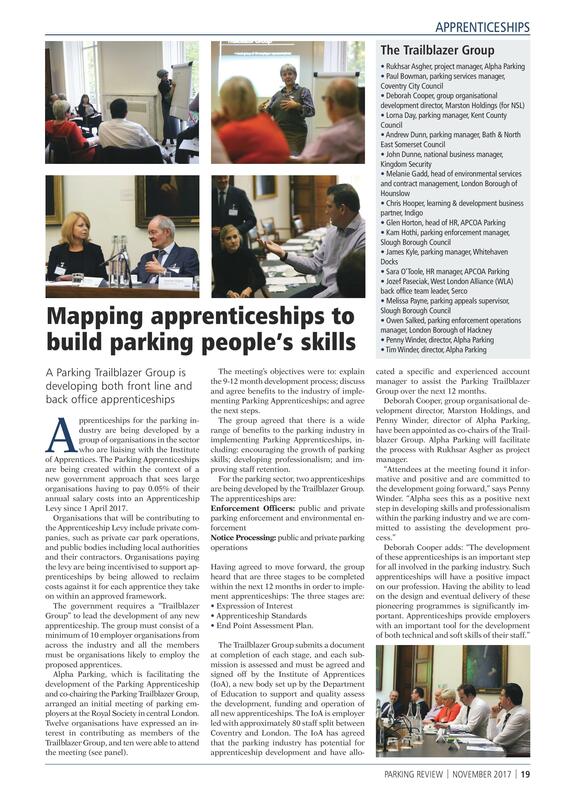 All the officers, who might be from an enforcement, notice processing or any other background, were on the course to develop their parking first line management skills and, as part of the parking industry development, to gain insight into how other councils operated their parking operation. Onaeko added that the course had introduced some new ideas that she would be taking back to Tower Hamlets. One such idea was the concept of weighted solutions; Parking Supervisor and Team Leader Course giving a numerical value to each potential solution, based on how well the solution would meet the demands posed by the problem. As the groups wrestled with this concept, the tight financial constraints faced by local authorities became ever-more apparent. The group agreed that the obvious solution to an overload of work would be to employ a new person. This solution got a low weighting because of the costs involved. All candidates, with much reluctance, came to the opinion that they would either have to urge their staff to work harder and smarter or they would have to get the team leader to drop other responsibilities and take charge of correspondence – perhaps at a risk to his or her morale and sense of worth. The candidates spent four days debating and discussing various issues related to parking. Learning was directed by Harding, but the workshop structure of the course means that much of the understanding is developed and underlined through group discussion. At the end of the course, the delegates were assessed through a multiple choice question and answer test, but the real assessment was ongoing. As the course developed, so the personalities of those on the course began to shine through. There was the articulate, outgoing manager; the quieter, but equally forthright, leader; the democrat who believed in gaining a consensus before pressing ahead with a decision. There was the competitor and the co-operator. Will Santa get a parking ticket in a CPZ? FOI Request – will Santa get a parking ticket in a CPZ?